Are you prepared to profit from importing clothes? Don’t miss our little known secrets to finding the best clothes manufacturer in China that successful big brands will never reveal. First, let’s delve into common ways to find a China clothes factory. There’s tons of information online regarding how to find China clothes manufacturers, we’ve compiled a comprehensive list of ways based on research and our experience. The extensive range of methods will surely land you to an ocean of China clothes suppliers and there’re chances that you might run into the same garment supplier with your competitors. Then how to distinguish yourself and keep a competitive edge? Our best-kept secrets to finding reliable China clothes manufacturers based on your capacity target at following two categories of clothing businesses. Why common ways to find China clothes factories lose competitive edge? Losing competitive edge. You might end up producing with the same clothing factory as your competitors. It’s never a good thing to share the same clothing factories with your competitors in the rat race. If you’re a new customer with a relatively small order at the beginning while your competitors are regular customers with years of orders, how many chances are there to get better prices than your competitors? Will your new clothing factory keep all your designs confidential than revealing to please their regular customers? While both of you have urgent orders with tight delivery time, whose orders do you think they’ll prioritize first? Big MOQ. Chins clothes manufacturers making presence via common ways like online directories, trade fairs usually come with a much bigger MOQ. High prices. Investing in trade fairs, shops in clothes wholesale markets in Guangzhou or online B2B market places like opening a shop on Alibaba with extra marketing services can cost an arm and a leg which usually goes into the unit price of the apparel. Now comes to the bread and butter, our top secret to finding reliable China clothes manufacturers with competitive edge is Finding China clothes manufacturers that do not/hardly have any presence in media/marketing. It might sound ridiculous or misleading at a glance, even to our surprise, with experience accumulated we discovered there’s a shocking number of large China clothing manufacturers focusing on ethical, sustainable clothing manufacturing with several decades of presence in fashion industry. Interesting enough, these big clothing factories usually with a capacity of over 1000 workers manufacturing for iconic international brands, getting lots of incentives from local governments quite shy themselves away from public media. A search on Google or Alibaba would get you nothing, even on Baidu(the largest search engine in China), you might only get some blurred information without contacts. High end clothing brands usually develop their own fabrics, like Lacoste, you wouldn’t be able to find the fabrics of Lacoste available in the market place. Some brands would create their custom fabrics with digital textile printing. While some iconic international brands used to import some parts of raw materials from Europe then fabricated in China. For example, few well known brands are importing natural fibers from Europe, then make yarn in a factory in Southern China, and compose into fabrics in another factory in North China, then sew into clothes in another factory. PS: We didn’t reveal the names of these international iconic brands and their factories here as first we didn’t want to expose them to the media as they wouldn’t in few decades of evolvements, besides, we always strive to protect the confidentiality of our customers and connections. Getting to know the hidden secrets of how these iconic international brands outsource their production to ethical, sustainable clothing manufacturers in China that seldom make any public appearance can be quite challenging, usually would require enriching industrial experience, networking or referrals so as to get in touch with those clothing manufacturers. Thinking out of the box is like an accelerator for small business with tight budgets on their next clothing collection. The most challenging part for going with China clothing suppliers found via common ways is usually those suppliers come with bigger MOQ and much higher prices. Finding China clothes manufacturers locally is a much preferred option to stay on the edge. Here’re 3 of the little known ways to find China clothes manufacturers locally that the public don’t know. Here’s a detailed walk-through of the 3 little known secrets. Ads from China clothes manufacturers looking for customers are quite prevalent around the fabric markets. Sometimes you can also see some representatives from the factories putting on some outdoor advertising show with a desk and some chairs on the side of the side, a large board usually with title Looking for t-shirts customers, introduction of the clothing factory, etc. Besides, there’re some brick and mortar agent shops full of ads where you can get in touch with hundreds of clothing factories for free. Usually these factories are not available in any online market place. They’re in various scales, usually with smaller MOQ and better prices. Feel at a loss in the ads? Another more efficient way is just ask fro referrals from the fabric shops if they know any clothing factories specializing in the fabrics you bought. 90% of chances the shops are very happy to give recommendations of their factories who usually buy fabrics from them. Many clothing industrial parks scatter around different districts in Guangzhou, with each specializes in different type of clothes. A few blocks near my home lays a clothing industrial park where you can find a vast array of Guangzhou clothes factories with small minimum order quantity, including uncle Li’s. After 20 years working for a China clothes factory, he ventured out with his wife and set up a clothes manufacturing plant in Guangzhou. Different from China wholesale clothes suppliers you might find on international alibaba and trade fairs with super high MOQ of about 500-1000 pieces per design, the MOQ of most China clothes factories in our neighborhood is about 100-150 pieces per design. As to smaller MOQ, you might fear that it would be paired with higher price. A rule of thumb, when you order more, sure you will get more discounts. However, it depends on the suppliers, on whom you are working with. When you order smaller quantity, normally the price would be a bit higher than bigger MOQ. However, on the basis that the price is reasonable and fair enough. Many of the bosses of the clothes factories here in my neighborhood, as far as I know, they are honest, hardworking, traditional Chinese originally from other provinces that are not so developed, setting up their China clothes factories from scratches after working in other China garment factories for many years. Amicable, reliable, they are typical diligent Chinese you would feel very pleasant to work with. * The price and minimum order quantity of China clothes factories in my neighborhood is for Chinese. * The price and minimum order quantity of China clothes suppliers in international alibaba and trade fairs is for foreigners. However, the greatest disadvantage of ordering from Guangzhou cloth factories in my neighborhood is they can’t speak English at all and lack of understanding of international business. And the factory area is located a bit out of town. The greatest advantage of ordering from Guangzhou clothes factories in my neighborhood is much smaller MOQ and better price, and you can also choose your own fabrics and accessories from Guangzhou Zhongda fabric market for your OEM label. Pros and cons of ordering from these Chinese clothes factories in Guangzhou. Take uncle Li’s factory as example, they can make clothes with small MOQ but in the meanwhile they have several big customers ordering like 200,000 pieces per month for simple clothes like T-shirt. Everyone in the factory likes this kind of simple orders even with very tiny profit margin as money comes fast and it’s very easy job. They used to delay the production of other orders requiring more delicate work to arrange the big orders first, typical practice by Chinese suppliers. They have the expertise and experience to make much higher quality clothes but usually they make lots of careless mistakes coz being impatient and lack of understand. To solve the problems, my Italian partner and fashion designer Carlo has trained the workers with higher standards and we follow every process closely. If you are looking for quality China clothes manufacturer with understanding of western standards, we’re your ultimate choice. Contact us to know more or visit our office in CTF FINANCE CENTER when you are in Guangzhou. DUE TO THE HIGH NUMBERS OF EMAILS WE GET EVERY DAY, WE WILL NOT ANSWER TO GENERIC QUESTIONS SUCH AS I AM LOOKING FOR CLOTHES, I AM LOOKING FOR JEWELRY ETC. We are looking for men’s shirt,mens track,trousers manufacturers in china for the purpose of wholesale business in India. Hi Fayaz, thanks for contacting. Are you buying stocks or OEM orders? IS THERE SOMEONE THAT CAN CONTACT ME YLAGUERRE2@GMAIL.COM THATS I CAN WORK WITH. THAT THESE COMPANY USE TO SALE. Hi Yvette, thanks for contacting us. Please email us service@business-in-guangzhou.com your buying amount, budget, other requirements and pictures for reference, thanks. We are looking for men’s shirt manufacturers in china for the purpose of wholesale business in India. We are basically looking for evening, club wear shirts, with cut and sew pattern, block pattering, patch work, basic detailing of collars, cuffs and plackets and designer embellishments at our own label. Considering the weather condition of north India, the preferred fabric is cotton, different weaves of cotton are welcomed like dobby and sateen cotton, but looking for a good counts fabric, with features like soft, strong, durable, color retention, breathable and easy home care maintenance. Blends of cotton which are comfortable to wear can also be considered. Hi dear, thanks a lot for your information. Please check your email. Hi, Bel, thanks for reaching out. Pls email service@business-in-guangzhou.com. Will get back within 24 hours. Thanks. Hi Dickson, thanks for reaching out. Pls email service@business-in-guangzhou.com. Will get back to you within 24 hours. Thanks. 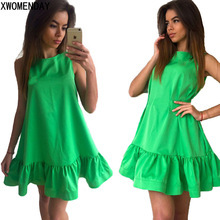 Hi Sally, I am planning to start a online fashion boutique for ladies and kids, and making a trip to Guang Zhou – it could be direct purchase or with our own design ideas. May I know how do we work together on this? We are into designer wear and we need clothing factories who can sew ladies fashion in Guangzhuo base on our designs. We will source fabric from Zhongda & Shaoxing Fabric markets and we provide our own pattern drafts. How can we proceed from here ? Hi Patience, thanks for reaching out. Pls check your email. I will be in China August 5 to 7, and would like to schedule a meeting at your factory to discuss manufacturing my jumpsuit and dress designs. As of now, I have a pattern and a tech pack. Whats is the best way to set this meeting up and what information or materials do you need for me to bring? Hi Christina, thanks for reaching out. Sorry for delay of reply. Kindly please check your email. Regards, Your BIG Team. Hi Sally, I will be in Guangzhou next week on Wednesday. I want a good manufacturer to my School Uniforms. I am bringing sample Primary School Uniform (list and photos have been sent to your email). Hi Noncie, thanks for reaching out and welcome to Guangzhou. Please check your email. I am agree with what you wrote in this article! I’ve ordered 1000 t-shirt from a trader that introduced himself as factory owner. We went to visit the factory, negotiated price and I place the order. I felt safe to place the order with him, but when I received the first batch of my order, I found out that the tees were NOT MADE WITH THE SAME FABRIC I ORDERED AND THE PRINT WAS COMPLETELY OFFSET. Then, I tried many times to contact the guy and nobody was answering to the phone. Fortunately I have a friend in Hangzhou and he helped me out to sort out the problem. I discovered that the trader was not the real owner of the factory and the real owner couldn’t produce the t-shirts with the same fabric I’ve chosen because, was expensive! This was the owner told the my friend! BE AWARE WHEN YOU DEAL WITH CHINESE FACTORIES AND TRADERS. Most of them can do anything to take your order and then delivery what they like, at the cheapest price possible and this can mess your business a lot!!! They just care your money and not quality and service. Also, don’t believe to prices that are very cheap, they hide some bad surprises at the end. I hope my experience can help everybody new to have business with China, to be very very careful when you are going to choose e Chinese partner. Hi Michael, thanks for sharing. I’m sorry for what had happened to you. Dear Florbella, thanks for reaching out. Pls kindly check your email, thanks. hi, I need factory with very low quantities with good price. I am coming Guangzhou in 10 days. I will need to check first his quality and does it have middle east pattern size chart and Euro pattern size chart or not? Hi Mahmoud, thanks for reaching out and welcome to China. We have Middle East size chart and Europe pattern in our office. You are welcome to visit our office when you are in Guangzhou. Hi Mohamed, thanks for reaching out. Where did you find the wholesalers? We have 15 years of experience in designing and producing clothes. Our Italian fashion designer will help you with it. If you want to discuss about it pls feel free to contact me at sally@business-in-guangzhou.com. Hi Sally, thanks for the article. Do you know if these factories could be contacted by email? Do they need a design sketches to sew? And do you think they would want to do the job if I only needed about 5-7 pieces of gown per style? My mandarin are not the best, but I do understand Chinese verbally and basic written. Hi, they can’t make gowns. I am based in Singapore and Am Looking for a manufacturer that is experienced in sewing ladies fashion wear, 60 Pieces minimum, good workmanship. We have our own design, drafts and sample, we need a factory to produce the stock. Look forward to ur reply thank you. I am looking to start my own online clothing store with my own label and designs but for a start I need to look for a factory/manufacturer who is able to do low MOQ first. Glad I chanced upon your website while googling for clothing manufacturers. I can speak Chinese but not very well. If need be, I can travel to Guangzhou over a weekend to discuss more about how you will be able to help me. Or we can discuss over email first. Hi Sally, Can you recommend me with the small MOQ in guangzhou for dresses? Hi Chloe, which market are you targeted at? My Name is Ayaz, We are importers of women clothing woven and knitted garments for top and bottom and fashion accessories like sun glasses, shoes, slippers, hand bags, ….. Our brands are eastern. I’m travelling to Guangzhou tomorrow…..
Is it possible that you can find me an agent to help visit the showrooms and suppliers in the markets and factories. Hi Ayaz, thanks for contact and welcome to Guangzhou. My colleague will be in touch with you. Hi Sally,Could you please recommend me factories that have small MOQ of dress, tops… Wish that you could help.Thanks! Hi Ngan, thanks for contact. Please check how we work, http://www.business-in-guangzhou.com/how-to-work-together, thanks. My Name is Faris ,We are a new clothing Brand in USA,our lines are denim,Silk dresses and Tee’s.I’m travelling to Guangzhou next 15 day’s,i’m looking for high quality factories accept small Moq’s like 200-400 units,pattern makers,grading,sourcing fabrics and trimmings ,I wish you could Help me find some to look at their work and also if you recommend a supply agent in fashion industry. I am coming to Guangzhou on 17th March do you have any guide that could take me around clothing factories. Hi Nasar, thanks for contact and welcome to Guangzhou. Please check how we work, http://www.business-in-guangzhou.com/how-to-work-together, thanks. Hi Faris, welcome to Guangzhou. My colleague will be in touch with you. Thanks. I want to come to Guangzhou.I have my own design and i want order approximately 300 items. can you make my design or i have to buy their design? Hi Deka, thanks for contact and welcome to Guangzhou. What kind of clothes do you want to make? Please check how we work, http://www.business-in-guangzhou.com/how-to-work-together, thanks. Hi, I am from Singapore and looking for a factory to manufacture female clothing to start up a business. is there any particular factory that can do small MOQ and of good quality? Hi Eugenia, thanks for contact. May I know about how many pieces per design? Do you have your own design or would you prefer to make some modifications based on the suppliers’ collections? I am looking at doing our own design and label. Probably 30-50 MOQ for each design to begin with. Saw this page and thought you would be of a great help to begin with. Do you have any driver that can drive us around to different factories? By the way, we are looking at female fashion clothes. Can I have the contact for the above mentioned factory that do low MOQ? I am planning to make a trip to Guangzhou after finalizing more information. Would appreciate if you can help us for this! thanks! Hi Eugenia, Please check how we work, http://www.business-in-guangzhou.com/how-to-work-together, thanks. Hi Eugenia, when are you coming and how many of you? Do you already have contacts of factories? Thanks. Hello, I want to carry clothes with guangzhou, good quality, preferably in my picture making things. The production of the label at once with the logo of the store and the size. Help me find factories for the production of not large orders. Thank you in advance. Hi, thanks for contact. My colleague will contact you in details. I want to start a female clothing brand in pakistan.I want some latest designs in ladies clothing. I am cumin to Guangzhou on 1st msrch. Plz guide me where to find good manufacturers where i can get high quality design in small quantities. Hi Rabi, thanks for contact and welcome to Guangzhou. Please check how we work, http://www.business-in-guangzhou.com/how-to-work-together, thanks. I am an upcoming clothing brand who wants to find a manufacture who can produce street wear such as denim products , leather products, and etc. Also I was wondering are you familiar with a company called Guangzhou Shanlai Trade Co., Ltd. If you have any information on any of these please contact my whatsapp at 6783626403. Hi Cameron, thanks for contact. I dont know the company you mentioned as there are hundreds or even thousands of suppliers here. Can you plz guide me which area in guangzhou is hub of clothing manufacturer. So we can look for our hotel out there. Can you plz guide me about some well reputed female clothing manufacturer out there. Hi Rabi, thanks for contact. Please check how we work, http://www.business-in-guangzhou.com/how-to-work-together, thanks. Hi Rabi, thank you for fast reply and welcome to Guangzhou. My colleague will be in touch with you, thanks. Hope you are good. I am waiting for your sourcing and assistance person to contact me. You have my e-mail adress. Kindly requested to make contact soon so i can finalize my detailed program with him/her. Hi Rabi, thanks for fast reply. Sorry we have a long CNY holiday. I am planning to visit guangzhou after chinese new year for clothing and accessories manufactures sourcing. Would be great if you or one of your colleagues can assist me. Hi Rani, thanks for contact and welcome to Guangzhou. My colleague Kevin will be in touch with you, thanks. I have opened my own clothing boutique in South Africa and I would like to travel to Guangzhou around the 19th of March 2018 to buy women’s clothes and I heard the clothing markets and factories are closed in March. Can you confirm that for me and also if you can send me an address for women’s market in Guangzhou. Hi Portia, welcome to Guangzhou. Everything is working as normal around the 19th of March. They will be closed during Chinese New Year holiday that’s half a month before and after 15th, February, 2018. Please check how we work, http://www.business-in-guangzhou.com/how-to-work-together, thanks. I am sourcing for a womenswear garment factory with low MOQ. Our fabric supplier is from Hangzhou. for a private label; Asian market. Am very keen on building a good business relationship with my manufacturers. Hi Effes, thanks for contact and really appreciate that you value the relationship with suppliers. My colleague will be in touch with you by email. Good luck. Hi Fadi, how are you? I want manufacture children garments in Guangzhou, I will source fabric. So, I need your help to create my contact with low MOQ factories. Hi Salman, thanks for contact. My colleague will be in touch with you. Thanks. We are into designer wear..Currently we buy fabrics & garments from China..We need small clothing factories who can manufacture kids & ladies designer dresses as per our designs in Guangzhou with small MOQ. We will source fabric from Zhongda & Shaoxing Fabric markets. Hi Marc, thanks for contact. My colleague will be in touch with you in details to see whether we can help, thanks. Will you have someone contact me. I am based in USA and need someone to make samples and follow up with my orders. Hi Hannah, thanks for contact. My colleague will be in touch with you by email. Best regards, Sally. Hi Tiffany, which part of Guangzhou? Please check how we work first, http://www.business-in-guangzhou.com/how-to-work-together, thanks. Hello, Sally. I am in Guangzhou now. I have 50 designes that I need to make samples before end of Jan because I want to participate in an exhibition in Feb. so could you help? But the most important is that such kind or factories understand the technical sheets and flat drawings. Hi Mahmoud, thanks for contact and welcome to Guangzhou. My colleague Kevin will be in touch with you. Best regards, Sally. Hi Sally, can i have the contacts of the factories that you’ve mentioned above? i’ll be there on 13th jan 2017 in guangzhou. and do you also know of any fabric suppliers that supply 100% Rayon fabric? would really appreciate if u can get back to me at whatsapp +6592301746 as i am planning to set up a store soon. Hi Vanessa, my colleague Kevin will be in touch with you. Thanks and best regards, Sally. Hi Vanessa, thanks for contact and welcome to Guangzhou. Please check how we work first, http://www.business-in-guangzhou.com/how-to-work-together, thanks. Hi Sally, your colleague hasn’t contacted me yet. Pls email me ASAP. Thanks! Are you able to recommend a factory for ladies dresses with small MOQ with easy communication and good feedback. Hi Helena, thanks for contact. Please check how we work first, http://www.business-in-guangzhou.com/how-to-work-together, thanks. Hey Sally, Im currently in Guangzhou. Would you please recommend me a factpry with a small MOQ for mostly hodies and t-shirts thanks. Hi Ibrahim, thanks for contact and welcome to Guangzhou. My colleague Kevin will be in touch with you regarding factory for hodies and t-shirts. Best regards, Sally. hi Sally kindly send me website for women and men clothing garments factories please i would like to buy direct from the factory. I’m in namibia. Hi Josophina, Please check how we work first, http://www.business-in-guangzhou.com/how-to-work-together, thanks.